It’s finally here! Our annual deer corn sale kicks off on Wednesday, August 28th and runs through September 1. 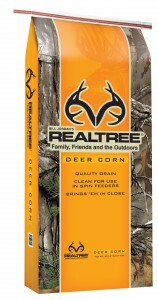 50lb bags of Deer Corn for $6.75! No limits, while supplies last. Stop by Bar None Country Store for all your deer corn and hunting supplies! The best service, Bar None! This entry was posted on Tuesday, August 27th, 2013 at 7:00 pm	and is filed under News & Updates. You can follow any responses to this entry through the RSS 2.0 feed. Both comments and pings are currently closed.